Rainbow Alley Park protects an area between Nilkitkwa Lake and Babine Lake, famous for its world-class rainbow trout fishing opportunities. Water flows north from Babine Lake, through Nilkitkwa Lake and into the Babine River. Provincially significant salmonid populations, including steelhead and sockeye, pass through the waters on their yearly migration to spawning grounds. The easily navigable waters provide recreation opportunities while protected wetlands provide breeding habitat for the blue-listed American bittern. This park does not have a boat launch. Boat launches are available outside the park at Fort Babine Lodge (north end of Babine Lake) or at Fort Babine. Rainbow Alley Park lies approximately 100km north of Smithers. The park is accessed by following Babine Lake Road for 50km, then following the Nilkitkwa Forest Service Road for 41km, then taking the turn-off to Fort Babine. Access is then by boat via a boat launch at Fort Babine Lodge. History: In 1996 the Regional Protected Area Team identified the popular fishing destination Rainbow Alley as an Area of Interest for its significant recreational opportunities. In 1999, with recommendation from the Bulkley Land and Resource Management Plan, Rainbow Alley was designated as a Class A provincial park. Cultural Heritage: Rainbow Alley Park lies within the asserted traditional territory of the Ned’u’ten people, and approximately 1km north of the First Nations community of Wud’at (Fort Babine). The Ned’u’ten have a long history of use and continue to use the area for sustenance fishing and trapping. Conservation: Rainbow Alley Park lies within the Babine Uplands Ecosection, protecting wetland and forest habitat. Wildlife: As part of the Babine River corridor, Rainbow Alley contributes to habitat for many mammals, including grizzly bears, a species of special concern in this landscape unit. The park also protects an area used by the blue-listed American bittern for breeding. Provincially significant populations of rainbow trout, steelhead and sockeye are found in Rainbow Alley, along with a host of other fish species including pink and coho salmon. 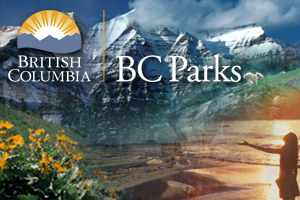 The approved management direction statement for Rainbow Alley Provincial Park [PDF] is available online in PDF format. Opportunity to fish for world-class rainbow trout. Anyone fishing or angling in British Columbia must have an appropriate licence.